As a first-year freshman, you may not have a credit card, but you may graduate with at least one. While it is advisable to establish your credit history while you are in college, there are some stipulations to applying for and using credit cards in school. After all, a little careless spending over the next four years can accumulate to a mound of debt before reaching graduation. It can be tempting to fill the gap between income and expenses with credit card purchases. However, expenses do not disappear once they are charged to your credit card—quite the contrary. Not only can expenses mound up quickly with the ease of using plastic, but you will end up paying the actual purchase charges plus interest. It is wise to limit yourself to one major card and reserve it for emergencies only. Before you use the card, discern whether you really need the item(s) or service(s). Consider whether you will be able to pay off the monthly balance in full. Failing to pay off the monthly balance will result in interest charges, which is essentially giving money to the credit card companies (Federal Deposit Insurance Corporation, 2005). Credit card companies must give cardholders a 45-day notice of any interest hike. If a cardholder triggers a higher interest rate because their bill is 60 days late, the previous rate must be reinstated after six months of on-time payments. A ban on double-cycle billing—the calculation of interest over two billing cycles. People under the age of 21 must prove their income, have a co-signer, or pass a financial literacy course to get a credit card. 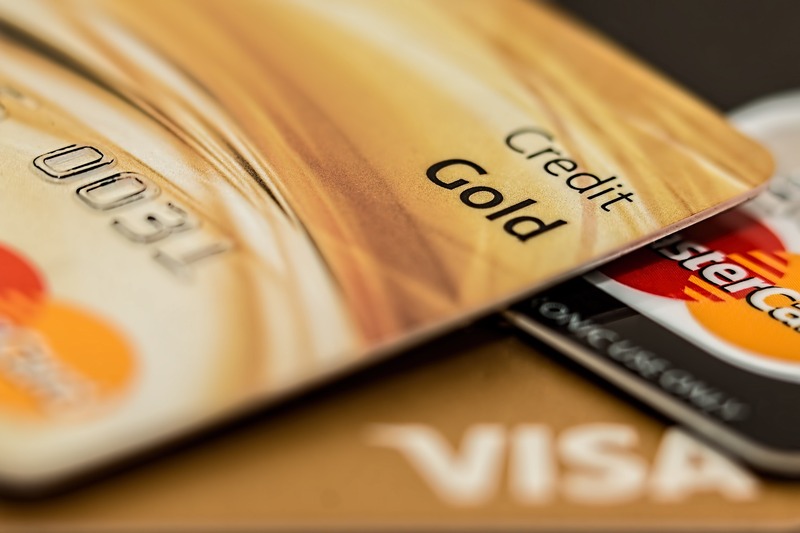 Credit card companies cannot charge over limit fees unless the cardholder has consented to exceeding their credit limit. Although it is discouraged, if you find it necessary to apply for a credit card, you should take a few things into consideration (Federal Deposit Insurance Corporation, 2005). Annual Percentage Rate (APR): The APR or interest rate is the percent- age you will be charged on the unpaid balance of a credit card. Shop for the lowest APR because a higher APR results in a higher monthly payment. Default Rate: The default rate is the new interest rate you will be charged if you miss a minimum payment, pay with a check that bounces, exceed your credit limit, or if you submit a late payment. Credit Limit: The maximum amount you can borrow at one time is your credit limit. Try not to exceed the credit limit by more than 50%. For instance, if your limit is $4,000, you will not want to cumulatively charge more than $2,000. Minimum Monthly Payment: The smallest payment your credit card company will accept is the minimum monthly payment. Avoid paying only the minimum payment, and pay off your balance in full each month. Grace Period: The number of days you have to pay off your bill before interest is charged is known as the grace period. If you carry a balance forward from the previous month, there is no grace period. Over-Limit and Late Fees: If you exceed your credit limit or submit a late payment, you will be charged a late fee or over-limit fee. Most companies will waive one late fee per year, so contact your credit card company and ask for a waiver. Cash Advance Fee: The amount charged when you withdraw cash on your credit card. Interest rates on cash advances are usually higher and lack grace periods. Transaction Fee: A generic title for numerous fees, including late, over- limit, and cash advance fees. Be careful: some credit card companies charge a monthly transaction fee regardless of whether you use the card. Making the minimum monthly payment on a large balance usually does not even cover the interest charged for the month. With compounding interest (interest that is charged on interest you’ve been charged), you can find yourself owing significant money before you even graduate from college. Small differences in monthly payments can mean big differences to the cost of credit and time needed to pay off a credit card balance. For example, compare the time and cost of paying off a $1000 balance with an interest rate of 16.9% and two different monthly payment accounts. If you make a minimum monthly payment of $20, the total interest paid is $742 over a 7-year period. By increasing payments by only $25 per month to $45, you pay only $208 in total interest, requiring only 2 years and 3 months to pay off the balance (The Federal Reserve Board, 2008). Consistently check your budget to ensure you have enough money to cover for planned expenses and credit card payments. Comparison shop for the best interest rates (APRs) among lenders and investigate for hidden fees and charges. Work to prevent finance charges by paying more than the minimum monthly payment. Contact the credit card company if you cannot make the scheduled payment time. Minimize the number of credit cards you have to one. Warning: Do not cancel credit cards without first paying off the balance. Do not be tempted to spend more than you can afford simply because a high credit limit will allow it. Use credit as a last resort. Opt to pay with cash, checks, or debit cards instead. Ensure that your monthly payments do not outlast the items purchased. Maintaining a good credit history is at the forefront of successful financial management. Of crucial importance is your credit or FICA score, which can be accessed through a credit report. A good or bad credit score can affect your ability to purchase a car, the amount of interest you will pay on loans, and your ability to get a job. Checking your credit score regularly is an added measure to prevent identity theft, which we will cover in a later section. For Credit Approval: Creditors use the report to decide whether you will be granted credit, to create terms of the credit agreement, or to determine interest rates. The lower your credit score, the higher your interest rates. Future Employment: Employers may view a job applicant’s credit report to determine if they are of good character. Some employers also access credit reports when considering someone for a promotion. To Underwrite Insurance: Many insurance companies now request your permission to obtain a credit report when you apply for insurance. To Issue a Professional License: Organizations that grant licenses for certain professions such as real estate, nursing, police officers, and others who require an employee to be bonded, may review your credit report upon permission. For Review or Collection: Creditors with whom you have already established a relationship may view your credit. You may obtain a free credit report if you have been denied credit within the last 60 days. To receive the free report, call the toll-free number provided in the letter denying credit. You may send your request along with the letter to the credit bureau the agency used. You may purchase copies of your credit report from the three credit reporting agencies (listed below) at any time. You can purchase a single report from one bureau or a “tri-merge” report that allows you to view all three reports. The latter option will provide the best picture of your “credit health.” Try to review your credit report(s) at least once a year. Even if you have had difficulties in the past with credit, there are some steps you can take to improve your credit score (FDIC, 2005). Consistently pay your bills on time. A large portion of your credit score is based on your recent repayment history. Positive information, such as a history of paying your bills on time, is viewed favorably. Reduce balances on credit cards and keep them low over time. Be sure the balance on any account does not exceed 50 percent of the credit limit. Transfer balances above 50 percent to another card. Try to pay off balances in full each month. Beware of companies who claim they can improve your credit score for a fee. They cannot do anything that you cannot do yourself—for free. In closing, there are obvious benefits to getting a credit card when you are in college. Having a history of dependable credit, especially making consistent, on-time payments, is necessary if you want to have good credit in the future. Credit agencies examine the length of your credit history when determining credit scores. In addition, having a credit card is fortuitous when emergencies strike, especially if you are away from home. Develop the self-control to avoid needless purchases, and you will be on the path to a life of responsible credit use. Identity theft is a growing national problem, costing the United States an average of $56 billion per year. How common is identity theft? Every 79 seconds, someone’s identity is stolen. Even more surprising is that 50% of victims’ identities are stolen by close friends, relatives, and spouses (Federal Trade Commission, 2009). Identity theft “is a federal crime. It occurs when one person’s identification (which can include name, social security number, or any account number) is used or transferred by another person for unlawful activities” (Federal Reserve Bank of Boston, n.d.). Personal data, such as your social security number, your bank account or credit card number, and other valuable identifying data can be used at your expense. Identity thieves frequently open new accounts in your name. They often apply for new credit cards using your information, make charges, and leave the bills unpaid. It is also common for them to set up telephone or utility services in your name and not pay for it. Some victims have found that identity thieves applied for loans, apartments, and mortgages. Thieves have also been known to print counterfeit checks in a victim’s name. Thieves also often access your existing accounts. They may take money from your bank accounts, make charges on your credit cards, and use your checks and credit to make down payments for cars, furniture, and other expensive items. They may even file for government benefits including unemployment insurance and tax refunds (Federal Reserve Bank of Boston, n.d.). What Is Your Identity Theft Probability Score (ITP)? To help protect yourself from identity theft, take the following quiz to determine your Identity Theft IQ and your ability to recognize common mistakes made by potential victims. Mark Putnam, National Council on Higher Education Loan Programs (NCHELP), “Identity Theft,” Georgia Association of Student Financial Aid Administrators Spring Conference, Savannah River-front Hotel, Savannah, GA, 15 May 2006. 80+ points: You are at high risk of being an identity theft victim. To reduce your likelihood of becoming a victim, please review the tips on the next page. 30-80 points: You have an average risk for becoming an identity theft victim. Refer to the tips on the next page to minimize your vulnerability even further. 10-30 points: Congratulations! You are very knowledgeable of identity theft precautions. Check the following tips to ensure that you have not overlooked any additional measures. What can you do to decrease your chances of identity theft?